In 2002 I described United Diversity as “a member owned and stakeholder governed network of mutual advantage.” In truth, it was aspirational. At the time, the flexible off-the-shelf legal structures and open source tools needed to make such a network a reality simply didn’t exist. Now they do. Co-ops that combine best practices from the international co-operative movement with best practices from the open source software and hardware communities are now possible. Soon anyone will be able to set up an Open Co-op and invite all their stakeholders to help finance, govern and organise the co-op online. Imagine transparent, democratic and decentralised organising for everyone. A society in which anyone can become a co-owner of the organisations on which they, their family and their community depend. A world where everyone can participate in all the decisions that affect them. This is the world United Diversity and the emerging network of people working on the legal structures and open source tools that enable Open Co-ops are working towards. Here I share some of the projects and ideas that have inspired us on our journey, and some of the legal structures and tools that are now available to put our vision into practice. Out of a desire by the Indymedia UK London Working Group to go beyond both the formal top-down power structures found in governments and corporations and the informal ‘Tyranny of Structurelessness’ found in many voluntary and activist groups, The Open Organisations Project emerged. Their goal was “to explain how to set up and maintain transparent, accountable and truly participative communities” and they came up with a useful set of six process and eight functional rules together with some basic guidelines for how to implement them. At the time (2002), it was the clearest guide to organising openly we’d found and we still point people to it today. Two books, A New Way to Govern: Organisations and Society after Enron by Shann Turnbull (2002), and Gaian Democracies: Redefining Globalisation and People-Power by John Jopling and Roy Madron (2003) were both very influential on our thinking. They introduced us to the principles behind Spain’s huge co-operative network Mondragon, and other large scale business with innovative organisational structures such VISA International and Semco in Brazil. In A New Way to Govern Turnbull summarised the terminal flaws of command and control hierarchies: the tendency of centralised power to corrupt; the difficulty of managing complexity; and the suppression of “natural” — human —checks and balances. In their place he proposed organisations which are able to “break complexity down into manageable units, and decompose organisational decision-making into a network of independent control centres.” In short, his thesis argued that command and control hierarchies must be replaced by “network governance” and that where this includes stakeholders — not merely staff but customers, communities, suppliers or distributors — a whole new dimension of economic, social and political benefit opens up. In April 2010 a project called Bettermeans “formed to promote the values of openness, transparency, autonomy, contribution-based-rewards (meritocracy), democracy, integrity, and values-oriented, purpose-driven work” released The Open Enterprise Manifesto. It was a familiar story: replace “the command and control hierarchy” with “collaboration and open participation;” create organisations “more like living dynamic networks, and less like pyramids;” plus the standard mentions of Linux, Wikipedia, Mondragón and Visa to demonstrate how aspects of the model had already been shown to work at scale. Bettermeans were trying to bring these various aspects together in a single cohesive model, and they made a pretty good stab at building the necessary tools to make such a model widely available and adoptable. Sensorica are an ‘Open Value Network’ focussed on two primary activities: creating open hardware products; and developing the Open Value Network (OVN) model. OVNs are variously described as “people creating value together, by contributing work, money and goods, and sharing the income” a “framework for many-to-many innovation” and a “model for commons-based peer production.” The basic concept is very similar to the Bettermeans “contribution-based-rewards” idea, but in OVNs contributions other than completed tasks are also accounted for. They are currently working with Bob Haugen and Lynn Foster at Mikorizal Software to develop a prototype open source value accounting platform called ValNet. Enspiral is made up of three parts: The Enspiral Foundation, Enspiral Services and Startup Ventures. I’d say they’re the best current example of an Open Co-op, but how they actually describe themselves is as “a virtual and physical network of companies and professionals working together to create a thriving society” and as an “experiment to create a collaborative network that helps people do meaningful work.” A core part of their strategy is to open source their model. In short, not only are they doing almost exactly what United Diversity wants to do — they’re also building the open source tools actually needed to do it! The Enspiral Foundation is the charitable company at the heart of the Enspiral network. It’s the legal custodian of assets held collectively by the network, and the entity with which companies and individuals have a formal relationship. Decisions are made using Loomio and budgets are set using Cobudget (see below). A network of professionals work together in teams to offer Enspiral Services, a range of business services under one roof. By default members pool 20% of their invoices into a collective bucket, 25% of which goes to the Foundation. Loomio and Cobudget are then used to decide how to spend the rest. For Startup Ventures, Enspiral works with social entrepreneurs to launch start-ups who then support the work of the Foundation, and Enspiral as a whole, through flexible revenue share agreements: ventures choose their own contribution rate, usually around 5% of revenue. In some countries there are a fixed set of legal structures that co-operatives must use. Here in the UK we’re more flexible. We do have legal structures specifically designed for co-operative and community enterprise: Co-operative Societies and Community Benefit Societies — but you don’t have to use them; off-the-shelf co-operative model rules for a wide variety of other structures are readily available. That said, pretty much all of the UK co-operative and community enterprises that most inspire us at United Diversity, i.e., those creating community-scale, community-owned renewably-powered infrastructure of all kinds, have chosen to incorporate as societies — and for good reason. Societies have a number of special attributes that make them particularly suitable for community investment. A big reason most community land trusts, community energy projects, community farms, pubs and shops and so on. register as societies is because doing a Community Share offer is the best way to finance such projects. 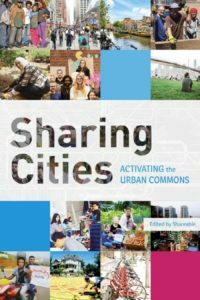 In recent years such Community Share offers have been growing exponentially and there is now a Community Shares Unit that offers advice and guidance on how to do it. Rather than being organised around a single class of members the way that most co-operatives are, a multi-stakeholder co-operative is any co-op that draws its membership from two or more different classes of stakeholders. After two decades of local experimentation, Italy was the first country to adopt a multi-stakeholder statute in 1991. Over 14,000 ‘social co-ops’ now exist across Italy and provide social care, health and educational services to over 5 million people. In Quebec, home to one of the most productive and vibrant co-operative development sectors in the world, multi-stakeholder co-ops are now the fastest growing type of co-op, with more than 50% of all new co-ops opting to register what they refer to as ‘solidarity co-ops.’ The movement is just getting here in the UK, but there are now over 20 multi-stakeholder co-ops who have incorporated using the Somerset Rules. Launched in 2009, the Somerset Rules were one of the UK’s first set of model rules for a multi-stakeholder co-op, and they’re arguably still the best. Packed full of best practice gleaned from decades of co-operative development experience, they’re structured to closely follow co-op principles, written in relatively plain English, and are cleverly drafted to allow for a wide range of different configurations. You can define the percentage of overall control each stakeholder group has. They are also ‘social accounting ready’ and are designed to enable the widest range of options for financing. In 2012 they were fully revised and overhauled and a version for use as a Community Interest Company limited by guarantee was developed. In May 2014 a Community Benefit Society version was created and we’re now in the process of adopting them for the United Diversity equivalent of the Enspiral Foundation. FairShares is a new brand and model for self-governing social enterprises operating under either Company or Co‑operative Law. It offers a unique approach to enterprise ownership, governance and management through its recognition and integration of founders, producers, employees, customers, service users and investors. At the heart of the FairShares model is a definition of social enterprise based on: Specifying the social purpose(s) and evaluating the social impact(s) of trading activities; conducting ethical reviews of product/service choices and production/consumption practices; and promoting socialised and democratic ownership, governance and management by primary stakeholders. In addition, all intellectual property created by FairShares Enterprises and their members are managed as an Intellectual Commons using Creative Commons licences. This all sounds perfect for Open Co-ops and so we’re really looking to learning more at Inaugural FairShares Conference in Sheffield on July 1st. Originally started by Cambridge-based entrepreneur Emily Mackay, Microgenius is the UK’s first platform for community share offers and is now part of the Community Shares Unit. Societies can also sell shares via Crowdfunder and BuzzBnk, and can advertise share issues on Ethex, the Trillion Fund, and on Shares.coop — where the widest range of live Community Share Offers in the UK are listed. Co-operative Companies Limited by Shares can do equity crowdfunding on Crowdcube (which also powers Microgenius) and Seedrs. Open source platforms specifically created to help open and/or co-operative projects include: Goteo for crowdfunding the commons; Open Funding and Bountysource for cofunding free software; Gittip for giving small weekly cash gifts to people you love and are inspired by; Snowdrift, a monthly matched patronage system; and Coopfunding.net, a wordpress powered crowdfunding platform for co-ops in Spain (we’ve got plans for something similar in the UK). Catarse, Selfstarter and tilt are other open source options, and there are numerous bitcoin powered platforms out there, too (e.g. Swarm). One Clicks Orgs, a social enterprise whose strapline is “Legal Structures and Group Voting Made Easy,” created the One Click Co-op in partnership with Co-operatives UK and NESTA. 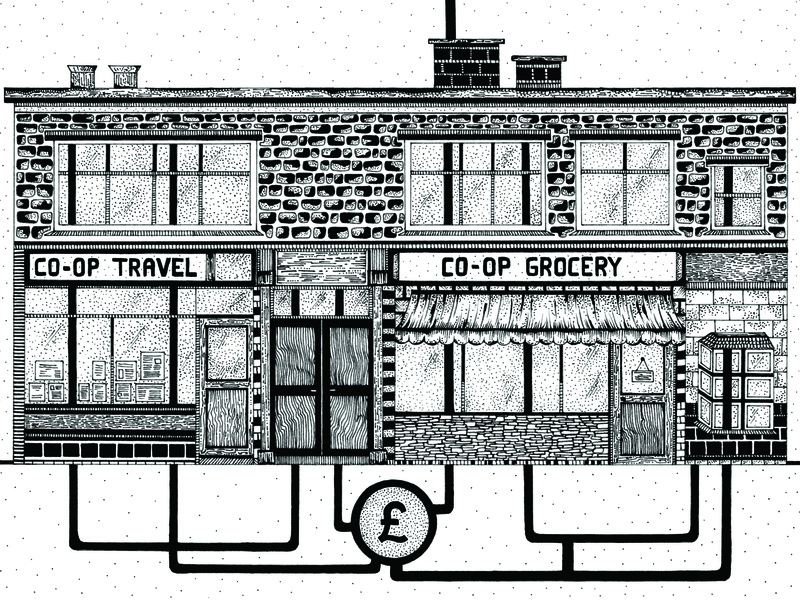 Launched in June 2013 and approved by UK regulators it is the first fully-online co-operative structure in the world. The open source platform permits members to contribute agenda items, browse archived minutes and participate in votes electronically. It’s pretty awesome, but having been built on a relative shoestring also pretty basic. Only Co-operatives UK’s multi-stakeholder co-operative rules are supported and you can’t, for example, the balance the interests of stakeholder groups by giving them different proportions of overall control (like you can with the Somerset Rules). Loomio — a free and open source tool for collaborative decision-making — is what happened when Enspiral met Occupy. Enspiral were committed to being a flat organisation, empowering employees to be autonomous and involved in leadership and decision making. But without the right platform, the overheads of engaging lots of people made it hard to deliver on this grand vision. In practice, only a few people were making most of the important decisions. Similarly, Occupy activists were finding it hard to make consensus decisions with large groups of people. Loud voices dominated and people with less time to commit to the process were being marginalised. They were missing out on the power of including a truly diverse range of perspectives. Together they developed Loomio. Cobudget is another open source app being developed by Enspiral. It works like this: each month contributions to collective funds are published. Everyone can see who contributed what and how much money is in the budget. Basic core expenses (previously collectively agreed on Loomio) are subtracted and what’s left is the discretionary budget. Each person or company retains the right to allocate their part of discretionary funds and anyone in the network can start a “bucket” ­— a proposal to do work that requires funding. They write up a proposal making their case for why the work they want to do will benefit everyone and why they are the right person to deliver the project. Everyone then considers the buckets and decides which ones to “fill” with their portion of the discretionary budget. If people collectively feel like a project is a good use of resources, it will get funded. If there are critical budgeting priorities taking precedence, “nice to have” projects won’t get any funds that round. Funders can split up their allocations as they like, or put it all in one bucket. In aggregate, the result is a budget that reflects the collective priorities of the group, determined in proportion to real stakeholding and in the context of the big picture goals. The entire process takes place transparently. Building on the work of Loomio and Cobudget the Open App Ecosystem is an Enspiral project to develop suite of integrated and open sourced apps which support transparent, democratic and decentralised organising. The aim is for the software to act as a delivery mechanism for cultural viruses which decentralise money, information and control and promote happiness, empowerment and wellbeing throughout an organisation. They also have the side effect of helping organisations become more efficient, resilient and adaptable. Bring it on.